A Finial with base included. The round limestone Finial with 2 different masks design, dart details an the round form. A simple top finial,square plinth with at the base. A large Base carved in one piece with bugne decorations on a square plinth too. 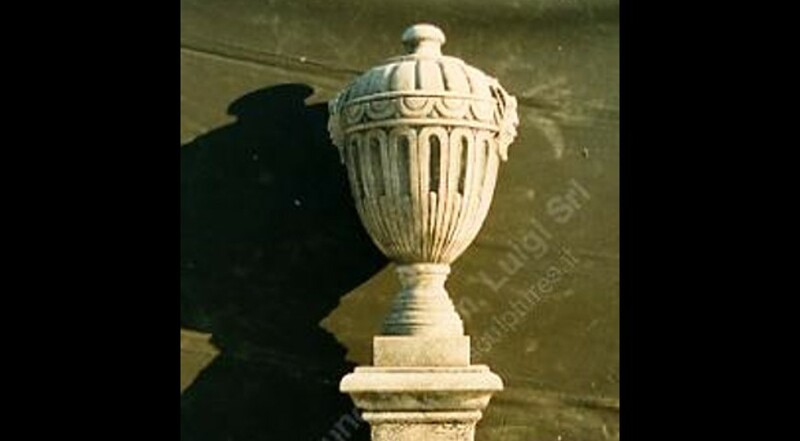 Classic 18th Century design, used on Palladio's Villa's and parks (Parco Querini in Vicenza city has a lot of these type of Finials). Used also on the great parks in England, France.